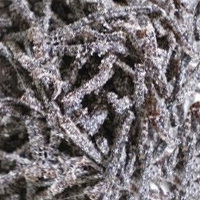 Shio-kombu is dried kombu that is boiled in soy sauce or sweet rice wine(mirin). It is used in cooking more often than eaten as is raw. It is relatively high in carbohydrate content. However as a source of dietary fiber, potassium, calcium, magnesium, and iron it is excellent. Note that it also has higher sodium content than soy sauce. Recommendations for use include use in stir fries, salads, and pasta. The calories in Shio-konbu per 30g(1bag small) is 33 calories. Shio-konbu is calculated to be 110Cal per 100 grams making 80Cal equivalent to 72.73g with 11.1g of mostly carbohydrates、5.07g of protein、0.12g of fat in 30g while being rich in vitamins and minerals such as Sodium and Vitamin K.